Android software now officially powers over 1 billion devices worldwide. One billion. Amongst them are a wave of next-generation smartphones like the HTC One, Galaxy S4 Mini as well as new wearable tech lines such as the Samsung GalaxyGear smartwatch. And now, Google have unveiled a new OS to power them – Android KitKat. The latest iteration in a sweet-themed line of Android operating system codenames, the chocolate-flavored KitKat follows in the footsteps of Jelly Bean, Ice Cream Sandwich and Honeycomb but side-steps the long-expected Android 5.0 Key Lime Pie update. An innovative partnership between Google and Nestle, Android KitKat is also the first mobile operating system name that is in effect an advertisement for another product. But Google isn’t giving up naming rights lightly – Nestle have agreed to specially brand 50 million KitKat bars with Android logos and promote the giveaway of a range of Android and Google prizes including 1000 Nexus tablets. There are no firm details on what new features Android 4.4 will bring but it’s expected to be based upon a Linux 3.8 Kernel with low-memory optimisation for lower-end phones. There will no doubt be improved battery life and general system performance but we’ll have to wait a little longer to find out more detail about Google’s latest update. 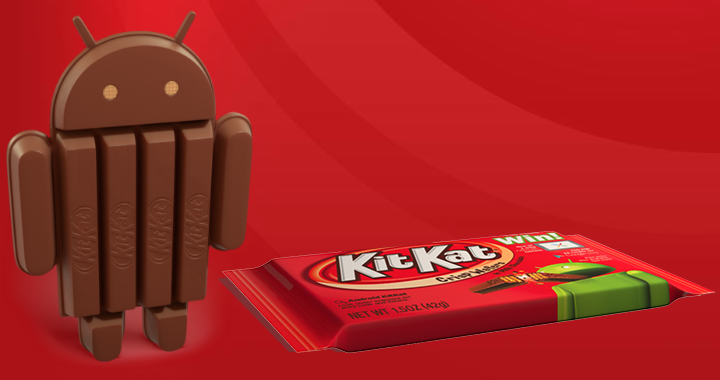 KitKat is expected to be available to all Android devices running at least 512MB of RAM. The Android KitKat OS is planned for an October release.